In this guide we will take a look at what is arguably the biggest name in online gambling: Playtech. If you have played on a few online casinos in your time, if you have used online lotteries, sports books and other games, then there is a good chance that you have played on something created by this gambling brand. They don’t come much bigger than this, and in this guide we’ll tell you all that you need to do about this gaming behemoth. Playtech is a huge real money online casino games brand, a one-stop-shop for gambling sites looking to acquire software that can do it all. As well as a huge selection of table games and slot machines, with more than 50 new games released every year, they offer a selection of other gambling and gaming programs. These include sports book software, lottery software, binary options software and much more. 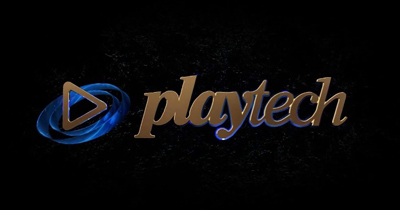 Everybody knows Playtech and they are loved and respected throughout the industry. They have one of the best reputations for quality and fairness, and they create a number of games that offer low house edges, cutting-edge graphics and impressive features. This software is preferred by many players and it is also preferred by the biggest gambling brands in the world, which is why you will find Playtech everywhere from BetFair to Bet365. 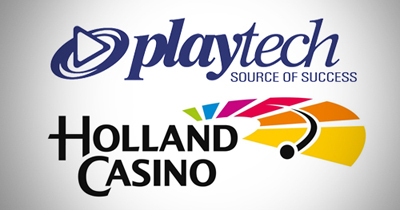 Among it's biggest competitors you can find Microgaming, RTG or RealTime Gaming, and NetEnt, but none are as big as Playtech. There are many great Playtech casinos out there, and we have played on the best and the worst of them. We have compiled a list of the ones that we recommend to make choosing a casino easier. 1. They acquired Ash Gaming, a leading software developer and one that had been going strong since 2000. As one of the biggest and the richest names in this industry, Playtech have constantly tried to gain a stranglehold on the market, to become an all-powerful brand, and their acquisition of Ash Gaming was a small part of that strategy. 2. In 2006, they were floated on the London Stock Exchange, and at the time they were valued at around half a billion GBP, making them one of the richest gambling brands and gaming brands in the world. What’s more, they have continued to grow since then, as has the gambling industry on the whole, and their annual turnover is around £300 million, of which around £100 million is net profit. This has been a sound investment for all stakeholders, and it looks like it will continue to be so for many years to come. 3. Ash Gaming wasn’t the only acquisition that Playtech made. Another one of their biggest proposed purchases was of Plus 500, one of the biggest share trading platforms in the world. A deal was suggested in 2015 and it looked as good as done, with nearly $700 million on the table. However, things didn’t work out in the end and the deal fell through. This is unlikely to stop them though, and it is surely just a matter of time before they broker another substantial deal and continue their conquest of the online gambling industry. It’s not everyone’s cup of tea, but we adore this series of online slots that offers cash options. Admittedly, the original Chain Reactors game is a little lacking, with little on offer. It has a progressive jackpot, but there isn’t much else to get excited about. This is taken to the next level by Chain Reactors Super Trails though and the beefed-up Chain Reactors 100 is also well worth a play. All of these slots have progressive jackpots. Based on the popular musical, which was created by the legendary comedy group Monty Python, this slot is action-packed, funny and it has plenty of features. If you yearn for the days of The Holy Grail, Life of Brian and a TV series that wowed and confused in equal measures, then you’ll love this. There are many slots in this category, and all of them are equally great. Playtech acquired the license to a number of Marvel superhero films and they used it well, with their selection of Iron Man games being the pick of the bunch. With this slot you can land winning paylines both ways across the screen, which increases your chances of landing a big score, and decreases the frustration of landing several big symbols in a row, but all on the final few symbols. Based on a comedy series that was a hit in the United Kingdom and also made its way overseas, this is a fun and unique little slot that is well worth a play. One of the two best online blackjack for real money games we have ever seen, Switch also has one of the lowest house edges you will find on a game of blackjack. In fact, Switch is so popular with players that it has since worked its way into offline casinos, and has sent many other developers into a frenzy as they look for a way to compete. Switch allows you to play two hands at once and to switch the top two cards of these games, massively increasing your chances of success. Playtech have one of the best selections of online baccarat. This game of chance is popular with card players and with those seeking more of a fortune-based game. There are a few options to choose between, and there are also live versions of baccarat available on the better casinos. A video poker game with a great rate of return, Jacks or Better is high paying and fast moving, just the ticket for poker fans looking to earn big money. If you score the big hands, including straights and flushes, then you’ll be in for a big windfall, and if you land a royal flush then you’ll secure a healthy jackpot. This game is growing in popularity in the west, and when it comes to online play, you won’t find a better game than the one offered by Playtech. Pai Gow Poker requires a unique mix of skill, strategy and luck to overcome the odds and to come out on top, and the best players can win a lot of money in a very short space of time. This is a very simple game, and one that can be picked up and played in a matter of seconds. That’s the main plus of Red Dog, but it also has a decent house edge and is fun to play. As is the case with all major gambling brands, Playtech use a lot of trademarks and licenses, with games based on TV shows, films and other pop culture hits. For the most part, these are just as good as their other games and some of their best titles are based on famous movies. However, that is certainly not the case with all of them. There are several poorly made games that don’t quite hit the mark, including Baywatch. The good thing is that these games are so blatantly poor that you should be deterred as soon as you lay eyes on them. They don’t come much bigger than Playtech, which makes them convenient both for players and for casinos. They have made it to the top by offering the very best games, and they have created slots, table games and more that outperform everything else we have played. They have been the first in many areas and continue to make exciting advancements in the world of online gambling. A company this size is always going to have some games that are simply not worth the effort, and because Playtech is the biggest, it seems to have the highest number of these. While they have several big progressive jackpots, you won’t find the biggest jackpots on this software. Can I Play Playtech on my Mac? Of course! This software works on most operating systems, including your Mac, and you should not have an issue in that regard. That’s why Playtech is as big as it is, because it doesn’t leave anyone behind and is always doing what it can to cater for more and more players. You don’t win friends by excluding people, so Playtech is all about compatibility. Can I Play Playtech on my Mobile? Yes, and Playtech were actually one of the first software providers to offer mobile compatibility. As we said above, it’s a numbers game, and they want to appeal to as many players as they can. When you consider that more players are using smartphones and tablets, and that the online casino mobile market is bigger than the desktop one, they would be careless if they didn’t do all they could to cater for it. Are There any Playtech Casinos Available in the US? There are Playtech casinos available to players in the United States, but such players do not have as much choice when it comes to online gambling. This is because it is tightly restricted, and whilst there are loopholes that essentially allow it, many of the bigger casinos simply do not want to take the risk. However, if you use a reputable online casino, then there should be no risk. Providing that the casino in question is based outside of the United States and that it abides by the regulations of the country in which it is based, then it is able to offer services to customers inside the US. Many of these casinos are based in Central America and are setup with the sole intention of catering to US-based casino players, but such casinos are also more prone to security flaws and scams than others, so you should always be extra careful. Although, if that casino uses the Playtech software, then that is usually a good indicator that they will be safe and fair. They are very safe. You don’t make this much money and have this much of an impact on the world of online gambling without doing something right, and Playtech have certainly done plenty of things right. Safety is a major concern for players, which means it is a major concern for casinos. As casinos are Playtech’s customers, they need to put safety at the very top of their agenda and have done just that. All of the software they create is safe and secure, and when you factor in the other systems and certificates used by online casinos, your details should be safe at all times. Of course, it is possible for a casino to use the Playtech software and to cut corners elsewhere, therefore exposing your details and creating a potential threat. However, this is very rare, and it is also very easy to stop. Always make sure that financial transactions are sent through secure servers, and that the casino has a digital encryption certificate to verify this. Whilst you are looking for a certificate to ensure that the online casino is safe and secure, you will probably come across one from a company such as eCogra. This is a leading gambling auditor, and one that is used by the biggest names in the business. This auditor checks that the casino software being used is safe, secure and fair, and that it has not been manipulated at any point in time. It also verifies that the site is secure. Playtech also run plenty of checks and guarantee that when their games are created, they are safe and they are fair. What’s more, unlike a number of other casino software developers, they do not allow the casino (the licensee) to alter the integrity of the game, which means they can not alter the house edge and other payout details. Playtech is arguably the biggest name in gambling software development, and it takes one look at their website, their software and their services to see why this is. They have everything you could ever ask for as a player, and they also have everything that a licensee could need. Simply put, they are the biggest for a reason.